Oscar season is well and truly ahead and Kenneth Lonergan's latest film 'Manchester By The Sea' is tipped by many to do well with nominations. 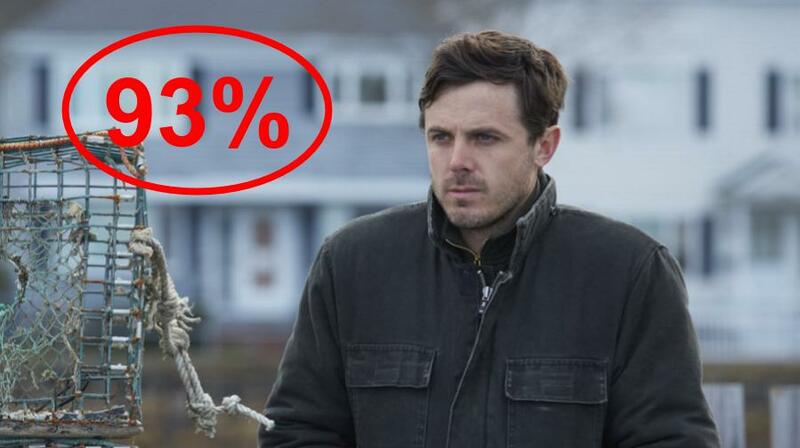 Casey Affleck has been getting a lot of buzz for his role in this movie, leading to speculate that he may pick up the Best Actor award come February. After seeing the movie, he'd be a safe bet to do so. Lee Chandler (Casey Affleck) is a brooding, easily agitated loner who works in several Quincy apartment blocks as a handyman. One day at work, Lee is called to the hospital as his brother's heart has given out. Lee has to return to his hometown to take care of his 16-year-old nephew Patrick (Lucas Hedges). As he deals with his brother's death and taking care of his nephew, Lee is also forced to relive an unspeakable tragedy. Casey Affleck delivers a career-best performance as he leads 'Manchester By The Sea' to greatness. Affleck is often overshadowed by bigger brother Ben but in 'Manchester', Casey shows that he is capable of equally as good a performance. Affleck plays Lee, an unsociable handyman who isn't afraid to speak his mind which gets him into trouble, especially if he's had a drink. Lee is a very conflicted and troubled character as he has to deal with his own problems that are shocking to see when they unfold. Affleck shows great range as there are plenty of emotional moments that allow him to shine but the character is also very quick witted and his honesty leads to some surprisingly funny moments. As the film was released in America weeks before its UK release, you hear the verdict from their press and media first. Not only were the reviews overwhelmingly positive but the general consensus was that this was a very emotional film. If you had wondered into this film without seeing any trailers for the film, the start of the film wouldn't lead you to think this at all. The film is surprisingly funny throughout the whole film as the Chandler family all carry the same quick-wittedness. 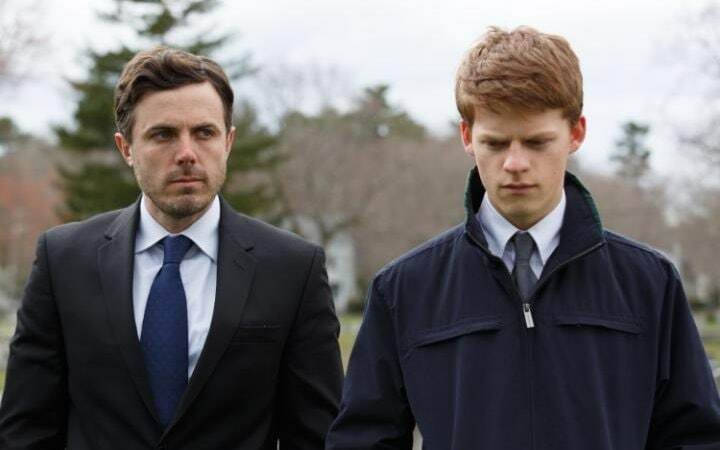 Between Affleck, Kyle Chandler and Lucas Hedges, the Bostonian family are all hilarious without really meaning to be, it's just who they are and this is conveyed perfectly by the performances. The film doesn't set up loads of jokes like a comedy would but you can be sure that you will be chuckling a lot during this film, which is very odd considering how serious and emotional it is at the same time. As previously mentioned, the reports of the early releases of this film came back saying that it was very emotional and they weren't wrong. As the plot surrounds death and Lee's struggle with taking over the care of Lucas, we also see Lee's background in the form of flashbacks. This is where the emotional side kicks in as the story reveals a shocking, heartbreaking backstory which really makes you sympathise with Lee and his ex-wife Randi played by Michelle Williams. Affleck, to reiterate is phenomenal as he aims to gain his first Oscar. Williams as well is fantastic with one scene late on driving the emotional side home. Although Williams isn't in the film as much as the likes of Affleck and Hedges, she does more than enough to make a memorable and effective performance. A star seems to have been born in Lucas Hedges in a breakout role. He plays Patrick who has an abundance of talents and a seemingly good and exciting life. Hedges does well as the teenager who mainly likes to hide his emotions but when he lets loose, he really breaks down. Hedges excels at showing great range, handling both emotional and humorous scenes very well. Kenneth Lonergan deserves huge credit for the success of this film. As both director and writer of this film, he was the creative driving force behind this film. The way Lonergan crafts a script that combines good humour and powerful, emotional scenes is something to marvel at, especially if you are a film student. Lonergan handles this film so incredibly well and is well worthy of an Academy Award nomination for both Screenplay and Director. Credit is also due to Cinematographer Jody Lee Jones who does a lot of great work in this film. Jones uses the working class environment of Manchester-By-The-Sea to great effect, as she makes the small town look beautiful. This wasn't something that I had seen much of in American film before as it felt quite British with the seaside towns. When you think of places by the water in America, it is usually with sunshine and beaches. This was a small but very appreciated aspect as it felt fairly fresh and close to home for me despite being across the pond. 'Manchester By The Sea' is a stunning, well-crafted film from start to almost the finish. The only real gripe with this film is its abrupt ending. This may be due to how invested the audience is into the film as you want to see more of the story but it just suddenly ends leaving you a bit bewildered for the time being. It doesn't completely round off the film that well which was the only real problem, otherwise, no complaints. So have you seen 'Manchester By The Sea'? If so, what did you think of the film? I hope that this review was useful for if you were planning on seeing the movie, which I highly recommend that you do so. Once again, thank you for taking the time to read my review, it is much appreciated!